COLUMN DESIGN: Authentic Replication wood. Greek Erechtheum capitals and Ionic (Attic) base molding / plinth. PROJECT COMMENTS: The Edith Wharton Designer Showhouse showcases one of Chadsworth’s beautiful Authentic Replication wood columns. The column is plain, tapered and round with a Greek Erechtheum capital and an Ionic (Attic) base molding / plinth. The column shaft is faux-finished to look like marble, and the capital is painted in a gold color. 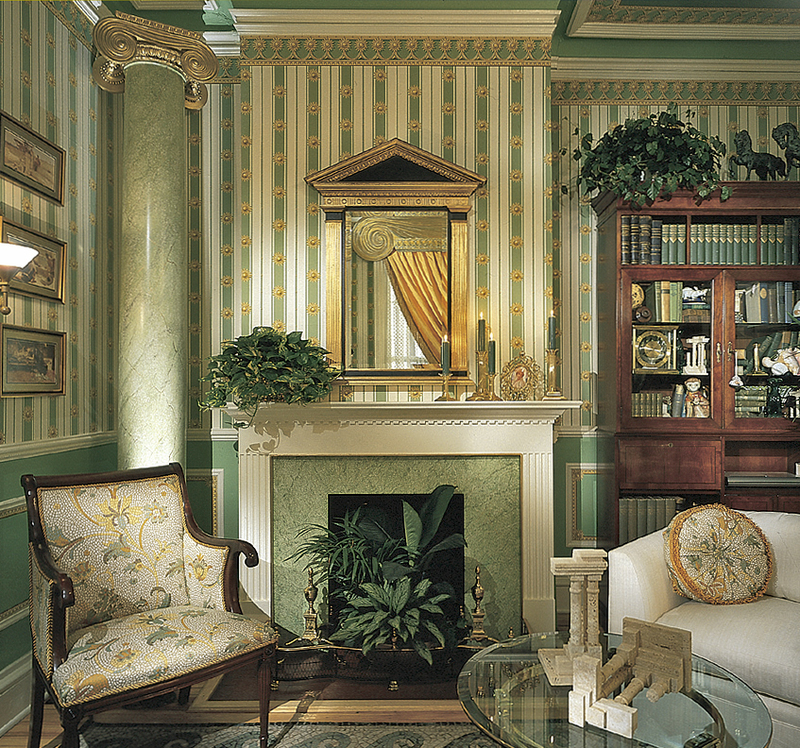 This entry was posted in Designer Showhouses and tagged albany new york, Architectural Wood Columns, chadsworth columns, edith wharton, edith wharton design showhouse, faux-finished columns, greek erechtheum columns, interior residential columns by Chadsworth Columns. Bookmark the permalink.